Mandala abstract texture art prints for sale. 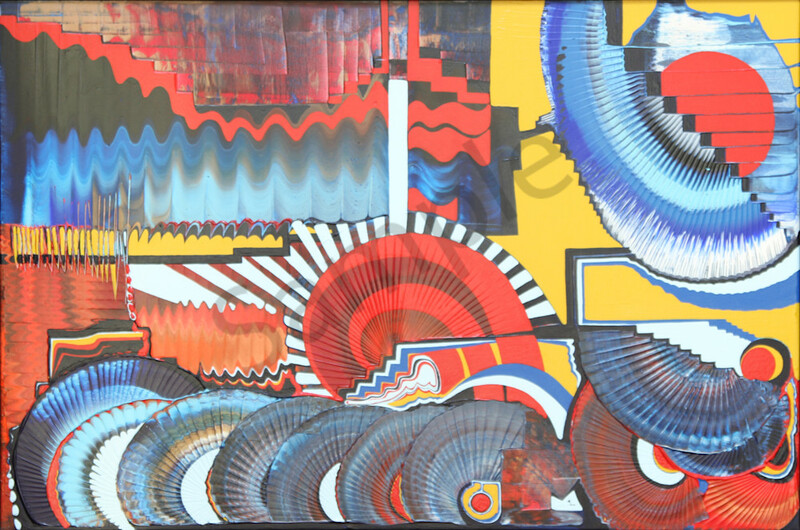 Dominated by primary colors and demarcated by a center line, an abstract texture art piece by Richard Van Vliet. Original created with drywall knife in 2002. Mandala is another of Richard Van Vliet's hard-to-categorize artworks, involving primary color abstract shapes and textured, drywall knife swirls, yet appearing like a landscape in some ways, and four cardinal directions, suggesting a sand painting by the Dine or Navajo or a Tibetan mandala.